Nissan will deliver 100 new 2018 Leaf electric vehicles to the City of Montreal, to be used as part of the city’s municipal fleet. Terms of the deal were not disclosed Thursday when Nissan announced the deal. The city will take possession of the vehicles in the coming weeks. 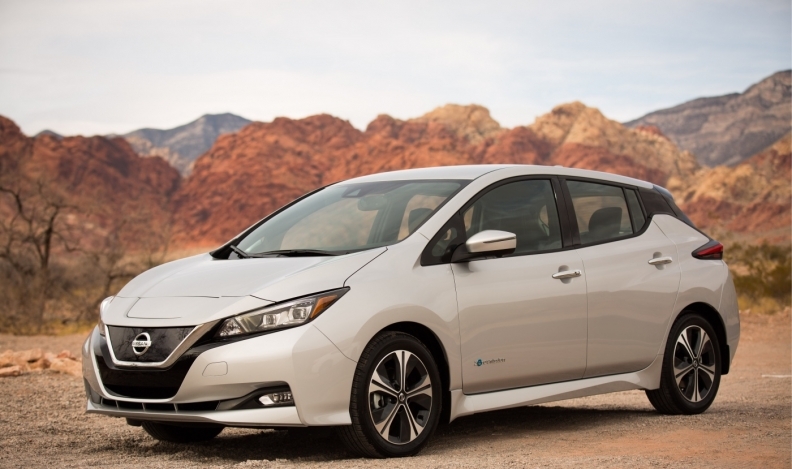 In total, its fleet will include more than 200 first- and second-generation Nissan Leafs. The new vehicles will meet various needs, but will be used most notably for inspection services, particularly in the building sector, or for public services in the architectural, landscaping, urban planning and urban development sectors. In 2005, the City of Montreal committed to reducing its greenhouse gas emissions by 30 per cent by 2020 compared to its 1990 emissions. “One of the most important means of combating greenhouse gas emissions includes the electrification of part of the vehicle fleet, and we take this top priority very seriously,” Montreal Mayor Valérie Plante said in a statement. The City of Montreal owned 18 fully electric vehicles in 2015. It currently owns 129 and it will own close to 230 by the end of the year. Since its Canadian launch in 2011, about 50 per cent of Leaf sales have been in Quebec, the automaker said. “Quebec is a crucial market for Nissan,” Nissan Canada President Joni Paiva said in a statement. Quebec offers up to $3,000 in provincial incentives on new EV purchases. Quebec law also mandates 3.5 per cent of an automaker’s total sales in that province be comprised of zero-emissions vehicles. Automakers sold 7,194 EVs in Quebec in 2017, up 44 per cent from the previous year. While Ontario out-sold Quebec when it came to the sheer number of EVs, Quebec still had the highest percentage of electric vehicles sold, at 2.2 per cent of all vehicles for the year. “I salute the commitment of residents, businesses and associations who, like the City of Montreal, have made the leap towards the adoption of 100 per cent electric vehicles and have become ambassadors of zero-emission mobility,” Paiva said. The delivery of the new Leaf comes after the new Chevrolet Bolt outsold Nissan’s popular EV across the country in 2017. Canadians bought 2,122 Bolts last year compared with 946 Leafs. A new battery boosts the 2018 Leaf's range on a full charge 40 per cent to more than 241 kilometres. The car also received an updated edition of Nissan's ProPilot Assist autonomous driving features, as well as new e-Pedal technology that turns one pedal into a combined accelerator-brake.